Itamar Kahn spoke at Congregation Kehillath Israel in Brookline. 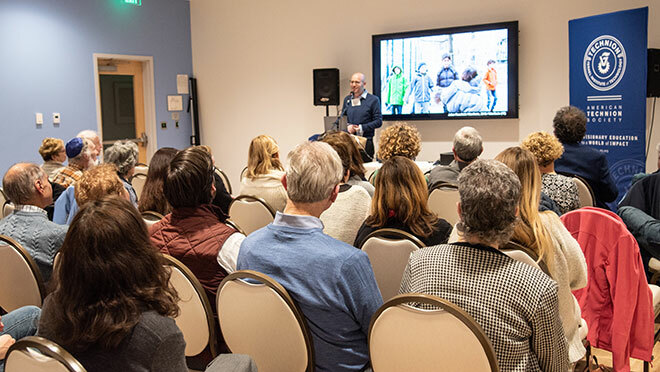 Last Wednesday night, more than 60 New Englanders gathered at Kehillath Israel in Brookline to hear renowned Technion Associate Professor Itamar Kahn discuss his research focused on Alzheimer’s, Parkinson’s and other brain disorders. Kathryn Bloom, a member of the American Technion Society’s National Board of Directors, provided the opening remarks and introduction.